Can this little stick make any audio device with a USB socket sound better? In Japan, and have just been shown – and had demonstrated – a little device said to be able to make any product with a USB port sound better. Can tell you it involves hand-soldering in silver, and mica from Giridi Bihar in sub-Himalayan India, may sell for €100, and comes from a surprising source. 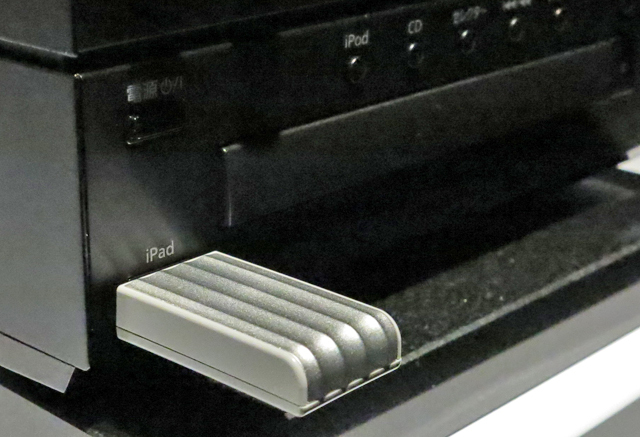 And it’s said to work on audio systems with USB inputs, laptops and – using an adapter – even your iDevice. So far only available bundled with a system on sale in Japan, Steve, but company in question is looking at selling it as a standalone. Green Pen for USB digits then? Could it be used in something like a Superuniti?